Camp Cropper. Baghdad. Iraq. January 2008 Except under exceptional circumstances, Pentagon rules that only the shadow of an actual detainee can be captured by a camera. 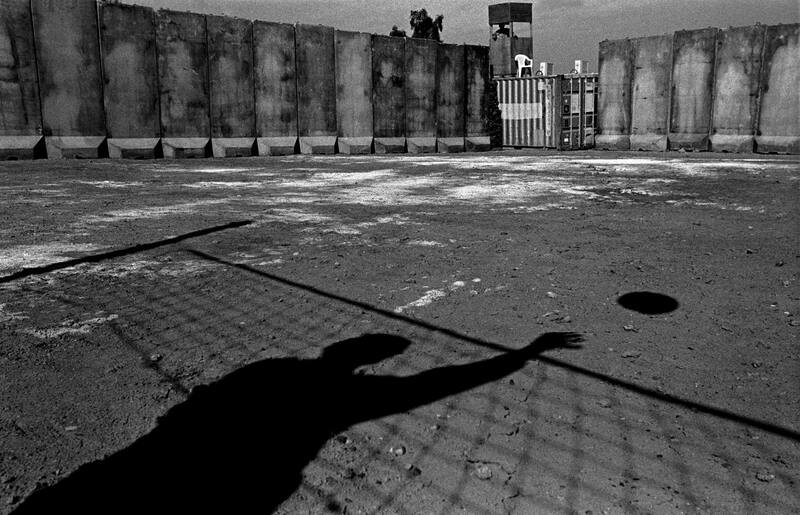 A detainee plays volleyball in the games area of the House of Wisdom, the educational facility for those held in Camp Cropper. Here they are re-educated according to US mores under a programme devised to render them passive to Operation Iraqi Freedom.